Breakfast Cookies = Cookies. For. Breakfast. 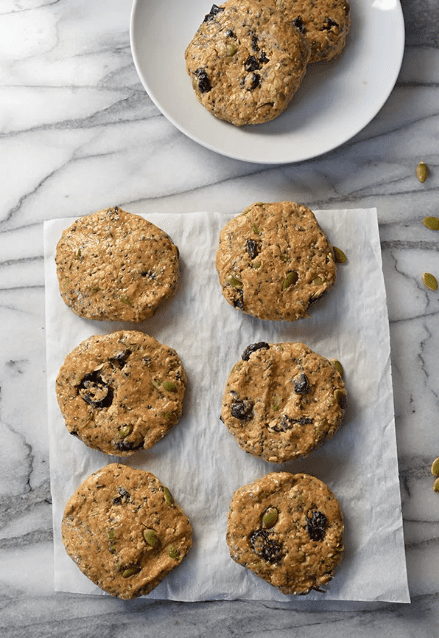 With these peanut butter and honey cookies packed with familiar breakfast ingredients like Vanilla Shakeology, oats, dried fruit, and chia seeds, you really can eat dessert first — first thing in the morning that is! 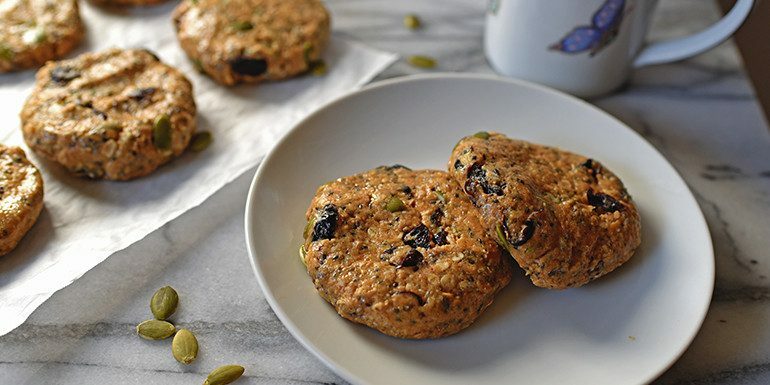 They’re a healthy breakfast treat, whether you’re too busy to cook, or you struggle to grab a bite as you rush out the door. 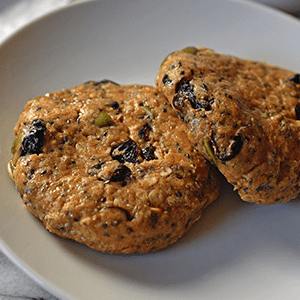 You can whip up a batch of these no-bake breakfast cookies in less than 10 minutes and keep them in the fridge all week. Each batch makes eight large cookies that are surprisingly filling thanks to 9 grams of protein, plus plenty of fiber and healthy fats. TIP: If your peanut butter and honey are already soft, you won’t need to microwave them before mixing. Place peanut butter and honey in a large microwave-safe bowl. Microwave on 100% for 20 seconds; mix well with clean hands (or a rubber spatula). Add extract, chia seeds, pumpkin seeds, coconut, oats, dried fruit, and Shakeology; mix well with clean hands (or a rubber spatula). Roll mixture into eight large balls, each about 2-inches in size. Flatten each slightly so that it is shaped like a traditional cookie.